Double Olympic Swimming Champion, Becky Adlington, has been named as Official Ambassador for the Accenture World Triathlon Mixed Relay Nottingham and will complete her very first triathlon taking on the individual sprint distance event on Saturday 15 June 2019. Not only that, she’s inviting the public to join her, with an EXCLUSIVE opportunity for 50 aspiring participants to be part of Becky’s Wave. Exclusive meet and greet with Becky on the day. Join the Olympic hero on the start line and take part in her official wave. Places are limited to just 50 participants – don’t miss out. Saturday 15 June 2019 (Time TBC) - Victoria Embankment, Nottingham. Taking place under the nose of Nottinghams War memorial gardens, competitors will swim in the River Trent, with the bike and run legs taking place on closed roads around Victoria Embankment. Click here to view the 2018 mass participation route map (subject to change for 2019). Competitors must be 15 or over to take part (on the 31st Dec 2019). It is compulsory to wear a wetsuit, and you will need a road worthy bike though this doesn’t need to be a fancy one! You can get advice on hiring both a wetsuit and a bike from the event organisers if you need to. The AJ Bell World Triathlon Leeds and Accenture World Triathlon Mixed Relay Nottingham are the first officially SH2OUT accredited triathlon events, meaning that the safety of the open water swim is at the highest recognised level possible. 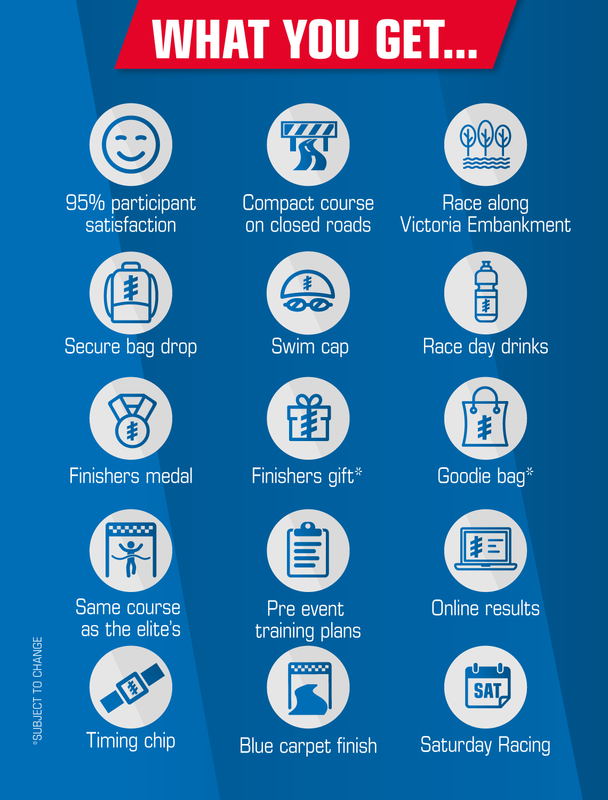 Prior to taking part in your event, please make sure you have taken reasonable steps to prepare. Look out for additional open water swimming tips from SH2OUT. SH2OUT is a partnership between British Triathlon and the Royal Life Saving Society (RLSS UK) providing appropriate support to the development of standards that ensure a safe and compelling open water swimming experiences for all participants. *All event entry prices displayed are subject to additional ACTIVE fees. *A British Triathlon Day License must be purchased with entry for race insurance where a individual(s) entering do not hold a British Triathlon Home Nation Membership. Find out more about the difference in entry windows pricing structure across all events here.